Kitchen spice racks installed by Toronto Custom Concepts can enhance the total organizational space available in your kitchen by tucking away your spice racks out of sight, but having them conveniently available when needed since they are located immediately besides your stove/oven. 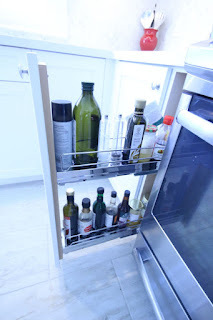 These spice racks are very convenient and they come with adjustable sliders to secure your spices from falling over when opening your spice drawer. 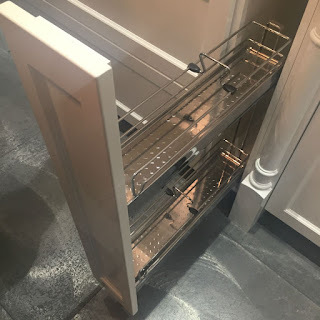 These spice racks also come in various heights and they have a front cabinetry panel to match the rest of your kitchen cabinets. Here are two examples of recent kitchen spice racks that Toronto Custom Concepts has designed and installed for some of our clients.